Hong Kong singer Raymond Lam has previously launched sensational concerts with themes including ‘Water’, ‘Fire’, ‘Light’ and ‘Time’, and the upcoming HEART ATTACK LF LIVE IN MACAO will thrill audiences with a concept of ‘blood vessels’. Lam began his career as an actor. He then moved into the music industry, launching his first debut album in 2007. In this concert, his powerful vocals, combined with dynamic choreography, high-tech revolving stage design and water effects will allow unprecedented interaction from audiences. 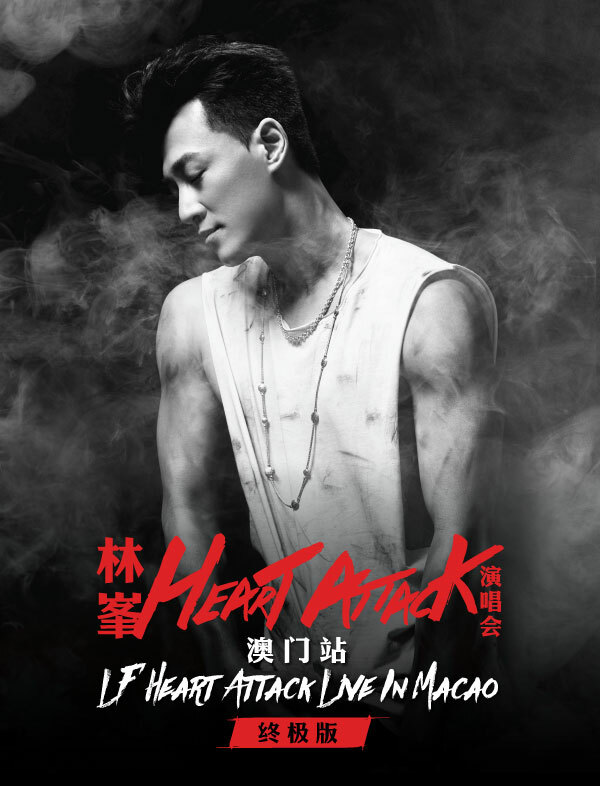 Don’t miss HEART ATTACK LF LIVE IN MACAO at The Venetian Macao on May 11. 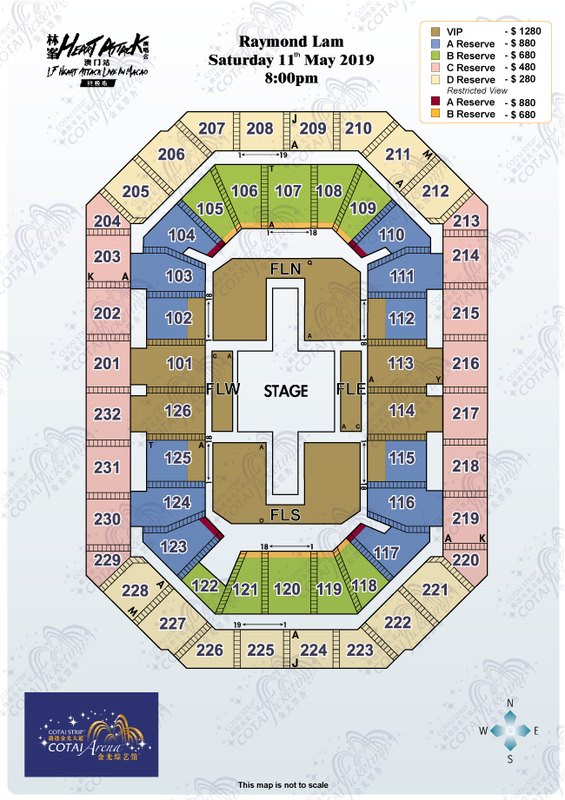 - All purchasers must adhere to this ticket limit. Orders exceeding the ticket limit may be cancelled without notice by Cotai Ticketing in its discretion. This includes duplicate orders having the same name, billing address or credit card. This ticket limit is not applicable to the special offer. 30% off Cotai Water Jet discount with selected event ticket. Please contact our customer service representatives for more details. Cotai Ticketing™ no longer provides ticket mail service to avoid mail loss. All tickets sold by Cotai Ticketing™ can be redeemed at our ticketing office.